Tired of messy hair? Bored of always having the wrong look? Don't get stuck with a bad haircut. Longer or shorter, blonder or darker, let your hair go design with the special help of CuldeSac and Studio Marisol. But let’s take it from the beginning. In cooperation with Vitra Design Museum and the Centre Georges Pompidou, C.I.R.E.C.A. (Centre International de Recherche et d'Education Culturelle et Agricole) has been putting on an international summer academy at Domaine de Boisbuchet since 1996. The international summer workshops are offered from July through mid-September and the courses are led by renowned designers, architects and artists who live and work together with the participants for a length of six to ten days. 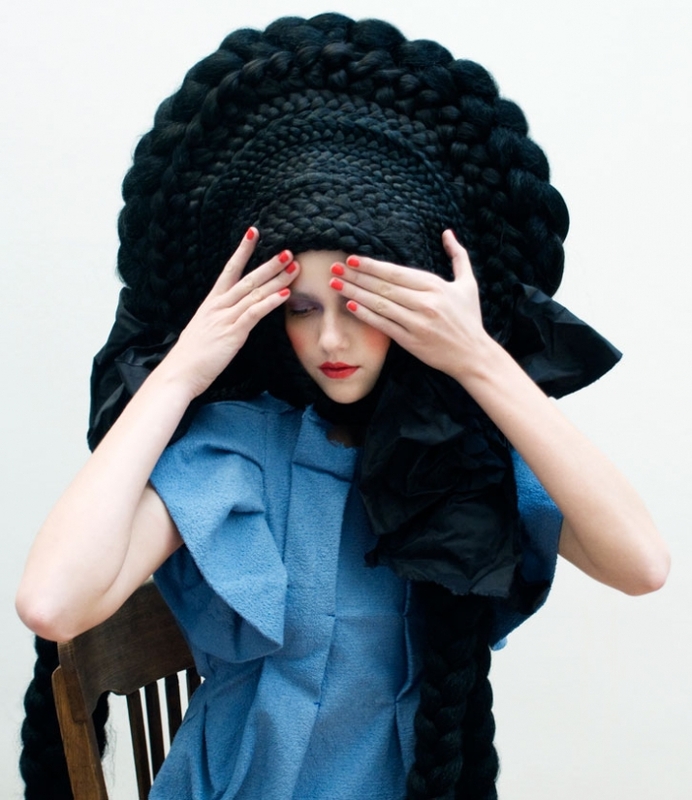 In this current edition of Boisbuchet Workshops CuldeSac and Studio Marisol will be using human hair as their working and inspirational raw material. The main goal is to research, design and build a project by using cutting, shape, fixing, weaving, teasing, textures and colour. But…how could these treatments have influence on design products? 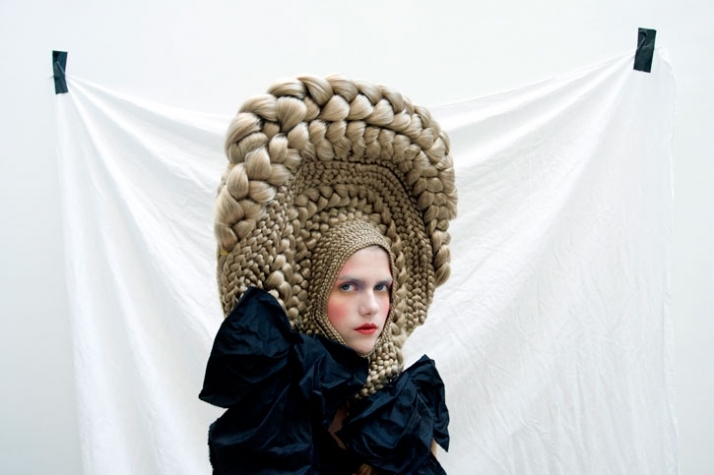 This is one of the many questions that emerge in this unique workshop where hair’s properties (versatility, resistance, structure, aesthetics, colour and light) will be given to newly created objects of design. The Domaine de Boisbuchet is an idyllic country estate from the 15th century in the Southwest of France at the border between the Charente and Limousin regions whose current-day ensemble with a castle, landscape park and agricultural buildings surrounded by woods and meadows. In the workshops held on site since 1989, internationally renowned designers, architects and artists have teamed with participants from all over the world to construct a series of buildings over the years that go beyond purely experimental character to exemplify innovative materials and construction methods, sustainability and a harmonious interplay of nature, agriculture and architecture. It seems that there are no excuses left and then and after having found for you the ideal place and the ideal team, it’s time you made that long awaited hair change come true. After all, you own it to yourself!